Calculating the right room rate is an integral part of a successful revenue management strategy. Now, an exciting partnership between hetras and BookingSuite, a new unit of Booking.com dedicated to empowering accommodation providers with smart technology that makes it easier to deliver great guest experience and grow their businesses, offers hoteliers a faster, cheaper, and accurate way to price rooms and increase RevPAR. BookingSuite joined forces with hetras to develop an innovative two-way interface between hetras and BookingSuite’s rate management solution, RateManager. The interface to hetras, which was built using hetras' public API, provides hoteliers with an exclusive two-way solution that utilizes powerful data in a seamless, streamlined and fully integrated manner. Using a series of complex algorithms that analyze multiple variables, such as seasons, special events, historical data, etc., BookingSuite’s RateManager tool predicts occupancy and optimizes rates up to 360 days in advance. This means hoteliers can calculate the best rate for each room type independently on any given day of the year. The added bonus for hetras-backed hoteliers lies in the two-way solution. 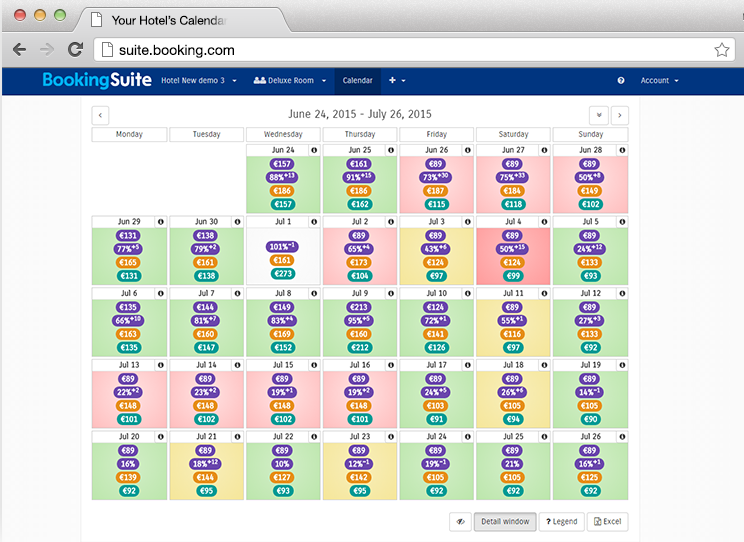 Price recommendations from BookingSuite RateManager can be automatically imported to hetras. And, because BookingSuite developed a connection to the hetras platform using the hetras public API, which has fast access to current data, forecasting and pricing capabilities are even more precise. Furthermore, the streamlined integration through the hetras API means that the software automatically imports any and all pertinent data, allowing hoteliers to concentrate on other areas of their business. The interface is simple to use and is a cheaper solution than others currently on the market. Unsurprisingly, the partnership and tool have already garnered attention, with eight of hetras' member hotels already jumping on board. BookingSuite is a new unit of Booking.com dedicated to empowering accommodation providers with smart technology that enables them to deliver great guest experiences and grow their businesses. The BookingSuite platform integrates with hundreds of reservation systems, channel managers, social media channels, and property management systems to help accommodation providers to thrive in a fast-paced, increasingly complex, digital world.